The MozLetter » MozPDX Revamped ~ Coming Soon! MozPDX Revamped ~ Coming Soon! This fall 2017, the MozPDX office will be undergoing a huge transformation! 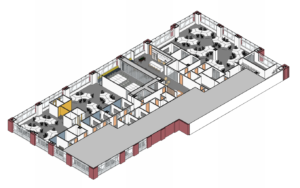 Not only will there be a number of improvements to the space but their office capacity will double in size. Target date for constructions begins October 1, 2017. Stay tuned for more exciting developments!